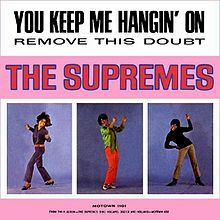 It's not hard to believe that the Supremes would have two songs reach number one on the sames date in different years. They had so many chart toppers that they are a regular feature of our daily Music Almanac. On this date 53 years ago (November 19, 1964), they had their one and only chart topper in the U.K. with their second charting single, "Baby Love". Written by the team of Holland-Dozier-Holland, Motown chief Barry Gordy wanted the song to sound like the Supremes' first hit, "Where Did Our Love Go" and had it arranged and produced right down to the same foot stomping by a local teenager named Mike Valvano. Then, exactly two years later on November 19, 1966, the Supremes hit the top of the U.S. Hot 100 with "You Keep Me Hangin' On". 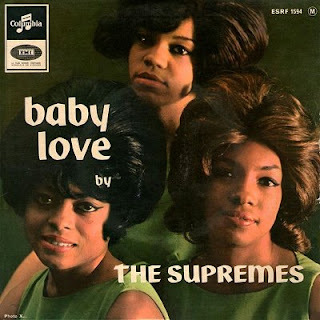 Once again written by Holland-Dozier-Holland, it was the Supreme's eighth number 1 record in America out of an eventual twelve chart toppers. The record had a relatively difficult birth with the Brian Holland and Lamont Dozier doubling as producers over the eight sessions it took to record the song with the trio and the Funk Brothers. Here is a performance from the series The Hollywood Palace, introduced by Herb Alpert.